The 1st floor master suite drew the “short straw” in terms of square footage when you compare it to new homes in the area. 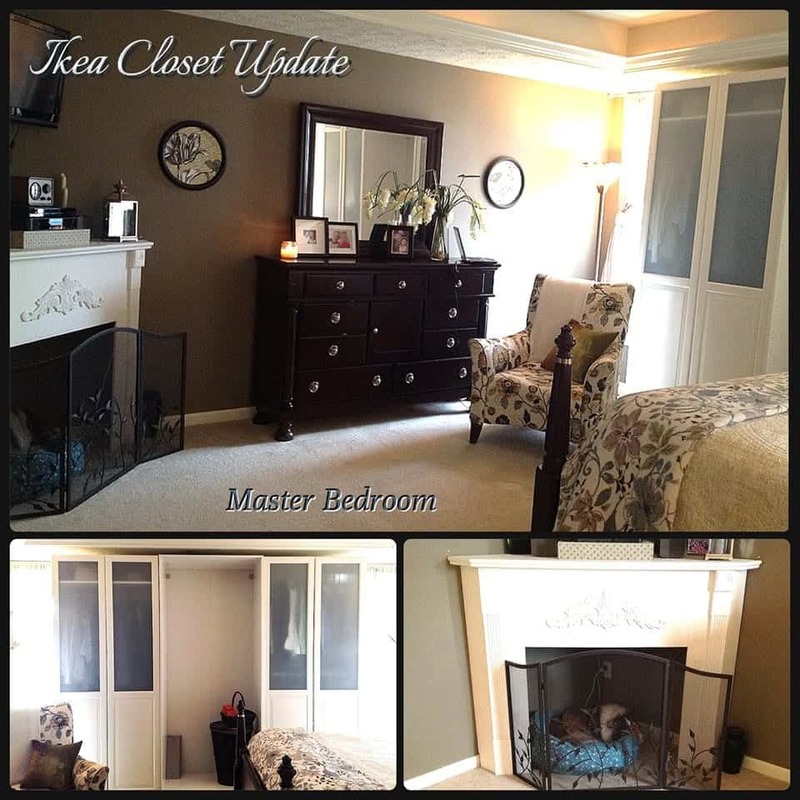 We expanded our space by converting the master closet into a brand new fancy dressing room for me. We also gave the master bath a mini-makeover which may go through a second update (possibly a paint change and new flooring, stay tuned!) Even with all three rooms updated, it still felt like a tiny space for two people but we’ve adjusted our life to fit the space. 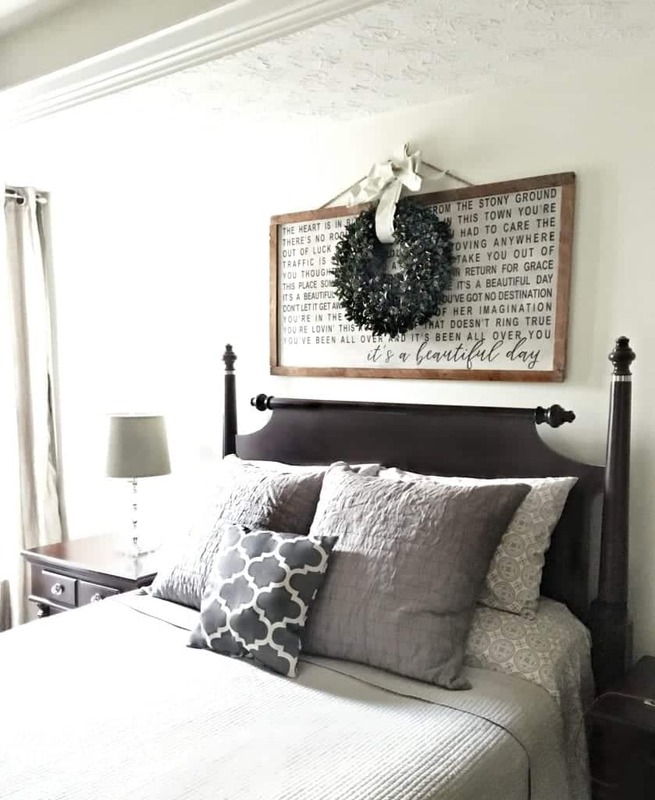 The art above our bed was the first song that played after we were married. I purchased it from my friend, Becky. She is so very sweet + talented. 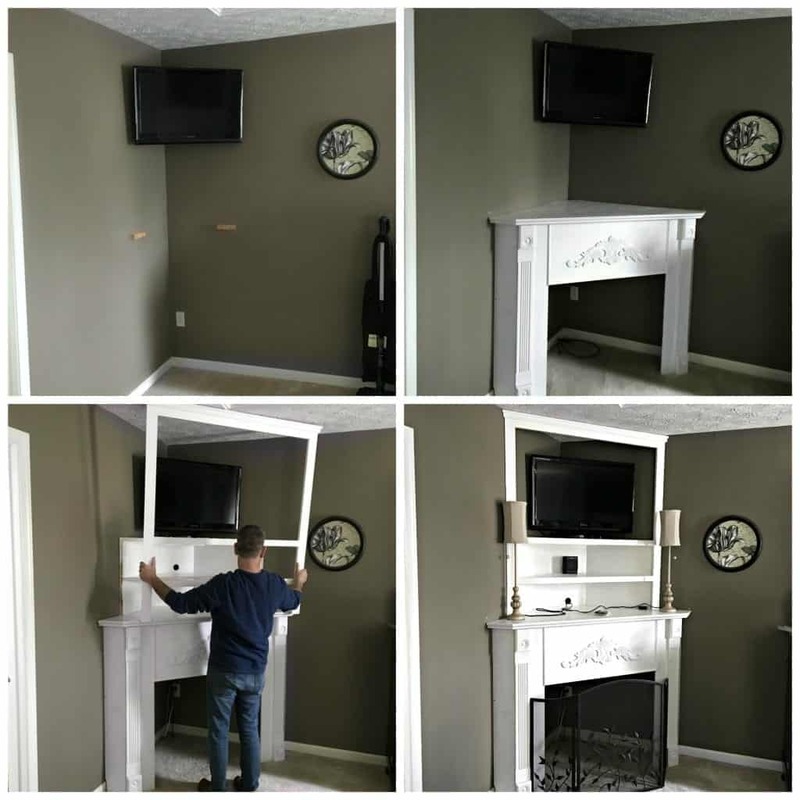 We added a corner fireplace mantel to give the room a little extra ambiance. After we finished the dressing room, we installed a PAX Ikea Wall Closet system. The bedroom is 20’x 20′ and you can see how quickly the space fills up with queen size furniture. Before we took the Ikea closet route, we really had to think hard about how we wanted to use this space. This setup works for us, and we’ve had to become very efficient at keeping our closet organized and clothing choices to a minimum. Our goal is to make the closet look like a built-in wardrobe with window seating, crown molding enclosures and embellishing the doors. I’m also thinking about cover the glass portion of the door with a pretty fabric. My favorite chair that I reupholstered has been relocated to this room. This is where I’ll sit and we watch our shows once the kids are in bed. Instead of having a real fireplace, it’s become a doghouse for Buddy. Like I always say, you have to make your house fit the “unique” personalities in your household…pets included! Build an Ikea Pax Wall Closet System – done!Install a corner fireplace (from ReStore) – done!Install a corner mounted TV above the fireplace – done! 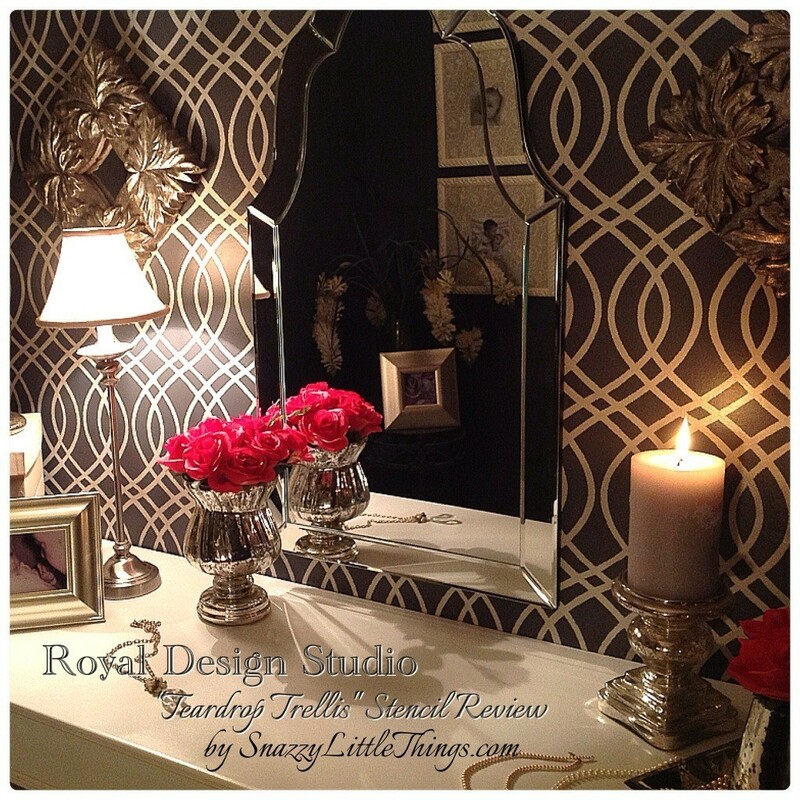 Original closet convert to glam dressing room – done!Master Bath Refresh – done! 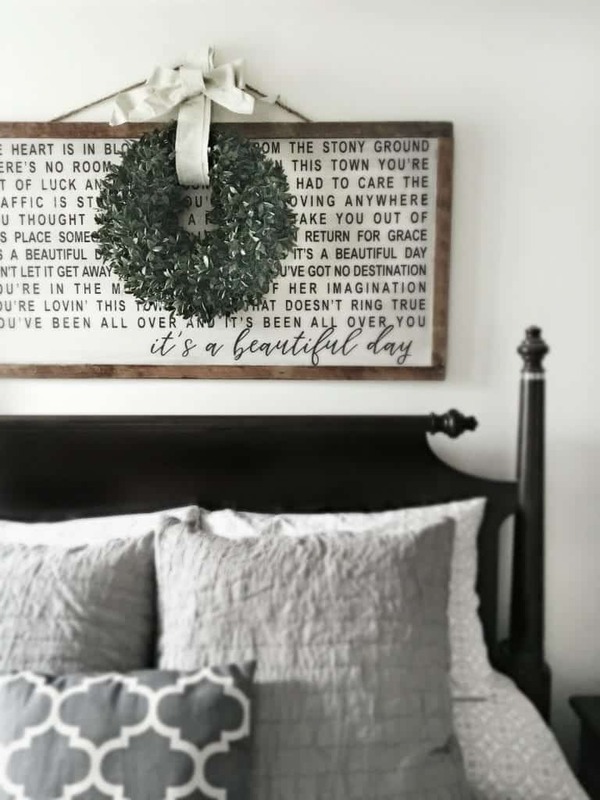 Paint the trayed ceiling – NOT DONE! 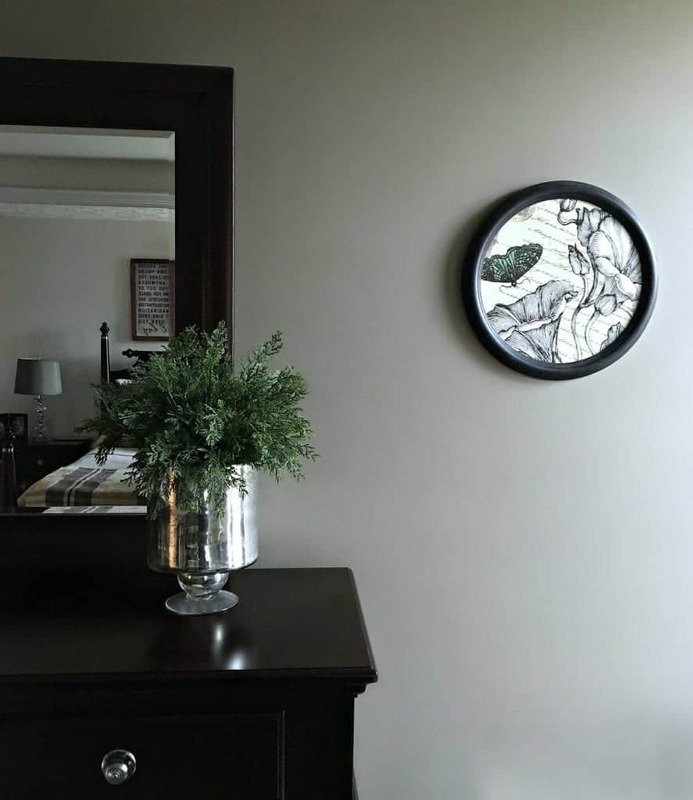 Trim & Molding – NOT DONE! 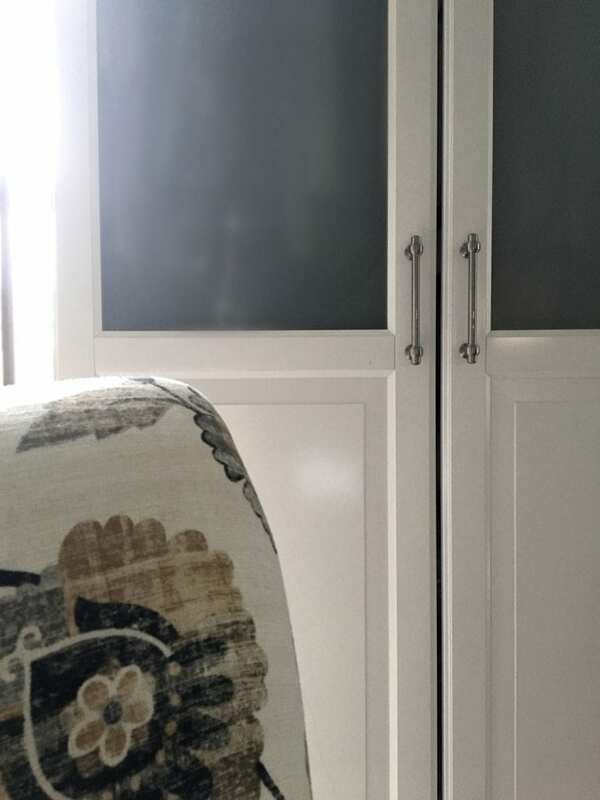 Built in window seating – NOT DONE!Finding a faux fireplace insert that won’t burn my house down. – NOT DONE!